Realme C1 was launched a few weeks back. The phone is known as the entry-level king. 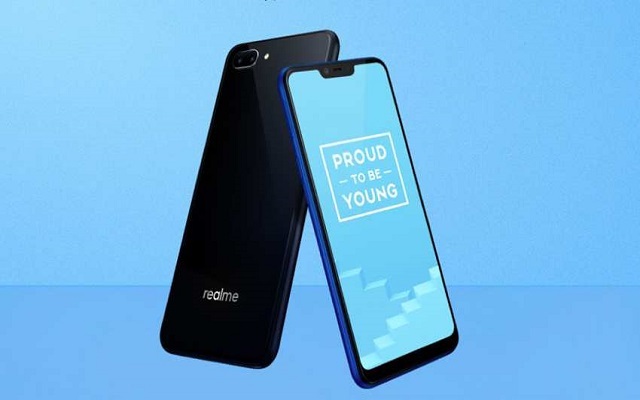 Recently, some new teasers popped up revealing the Realme C1 New Variant. Flipkart has made a microsite to tease the upcoming variant. The handset will have a display notch. It will have some gaming-focused features. The teasers clearly reveal that the handset will have a mega battery, mega display, and mega storage. This means that the new variant will have increased storage than the original one, improved gaming performance, and bigger battery capacity to keep the lights on. However, if you don’t know the Realme C1 specs. Then here they are. Realme C1 features a display screen of 6.2 inches with a Full HD 1080p and a screen-to-body ratio of up to 88.8%. The smartphone does not only impress the users with a mega display. However, its upcoming variant will do so. In addition to that, it has a lustrous reflective design consisting of an outer panel created with 12 layers of Corning Gorilla Glass and shielding of nanocomposite materials. The handset carries a glossy design and looks like a mirror that reflects light from the users’ movements. In addition to all this, the smartphone contains “Mega Battery” with a 4230 mAh capacity that can support all day use without the worry to keep a portable charger. The device is powered by Qualcomm Snapdragon 450 Octa-core processor which amps up graphics rendering up to 25% while saving 30% of power. Furthermore, it comes with a 2GB RAM + 16GB ROM which can support a variety of games. The handset also comes with 13MP + 2MP rear dual cameras. The realme c1 color options include Navy Blue and Mirror Black. The retail price of Realme C1 (2GB RAM + 16GB ROM) is Rs.18,999 in Pakistan.